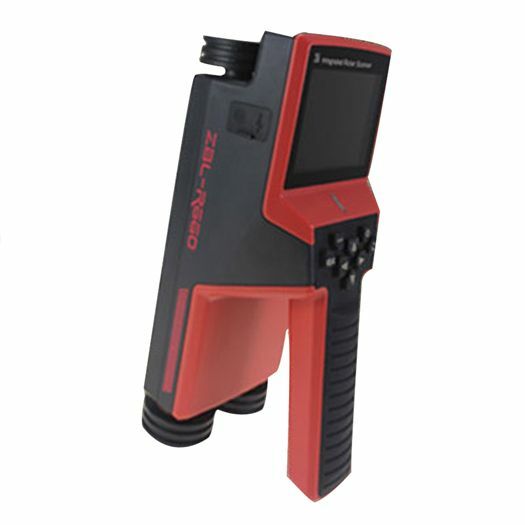 The R660 Integrated Rebar Detector is one of the most powerful and advanced rebar scanners ideal for large construction or retrofit jobs based on following key features: A unique 4 wheel design probe with built in encoder that allows rebar’s to be mapped with distance between adjacent rebar’s being measured in mm in real time allowing true survey of concrete structures. Multi coil technology that allows rebar position to be located in real time accurately and fast. A built in algorithm allows measuring interface to provide the operator indication in real time that a rebar is being approached. In addition, multiple visual and LED indicators assist the operator utilize the instrument easily. Multi-gear stirrup spacing correction function to enable more accurate measurement of cover thickness. A press of a button allows the operator to ascertain the rebar diameter when on top of rebar. The R660 is IDEAL For use on Larger Structures : Upton 65 Meter of reinforced concrete surface can be scanned in one go, allowing FAST acquisition of rebar data including: Rebar location, cover, spacing between rebar & rebar dia on structures such as Bridges, Large Commercial or Industrial Buildings amongst others. The R660 is based on lithium ion rechargeable batteries with > 12 Hours operating time allowing full day usage at site without recharging. Spacing between rebars in mm automatically calculated, based on built in encoder. 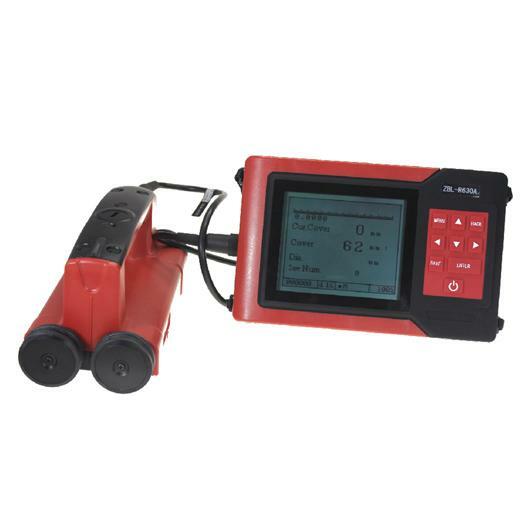 Diameter Detection: Estimate Rebar diameter at the touch of a button. Large 3.2'' LCD Color display screen. During acquisition, approaching or adjacent rebar position is estimated and displayed on display in real time – Indicated by a Measuring data interface sign and an indicator LED light – both at the same time allowing operation by any level of operator to become quick and easy. 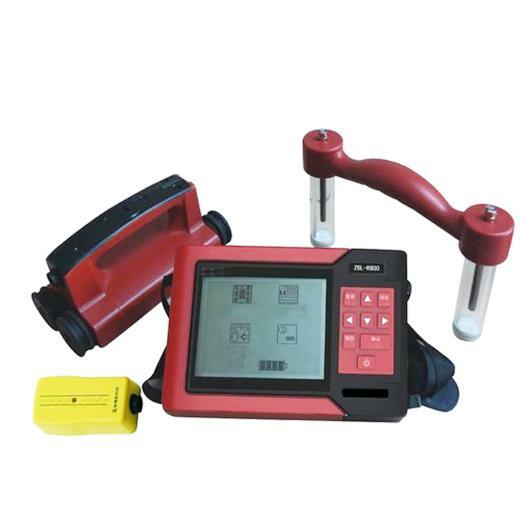 Three methods to confirm device is directly above rebar : When the device is directly above the rebar, centre line and targeting box coincide , a red indicator light is illuminated accompanied by a buzzing sound indicator. 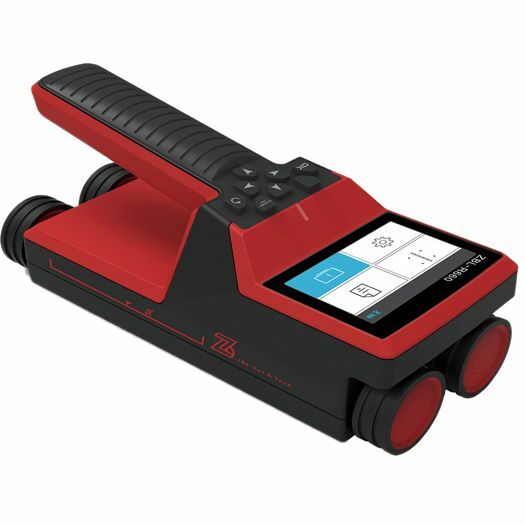 Storage and Data transfer : The R660 Instrument also contains Large Data Storage upto 3584 Objects and Data transfer capability via USB or Bluetooth.